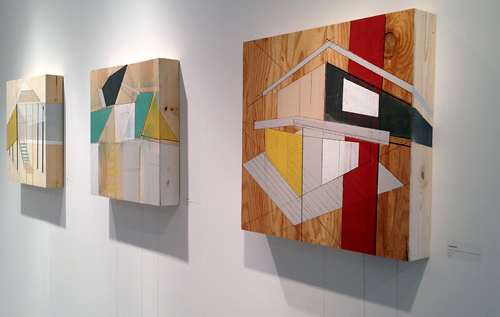 Allison Parsons had a solo exhibition at Launch Pad Collective last month, and we totally loved it. Does the above not perfectly represent the Toledo Museum of Art? Love it! 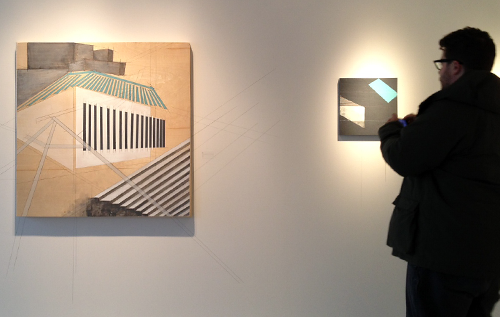 Launch Pad is one of the newest galleries Downtown, situated perfectly in the Davis Building. Allison’s show was chock full of architecture. 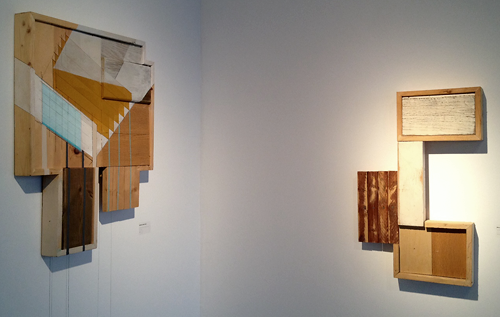 I loved the raw wood showing through under the paint and ruled lines. And there was some serious craftsmanship in the framing of several pieces. So lovely. You should follow the Launch Pad Collective on Facebook to be alerted to their new shows. And GO! Gallery openings are a great reason to get out of the norm, enjoy art, nibble on some cheese, and a glass of wine. All of it for free. Get out!